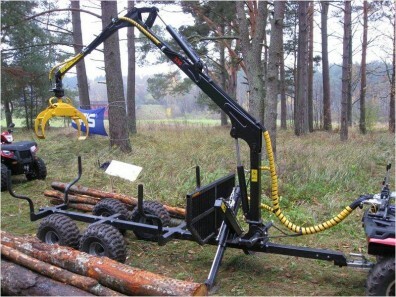 Our first forestry trailer with a hydraulic crane. 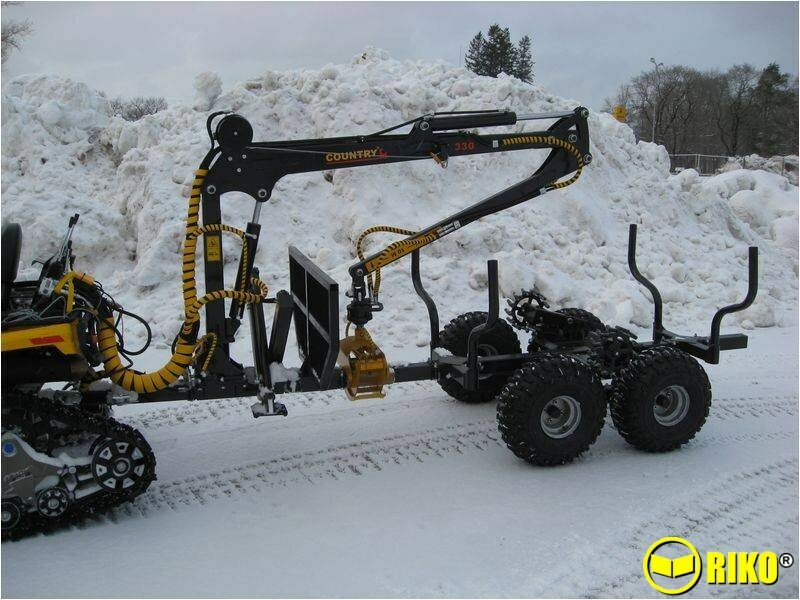 Ideal for large ATV’s and very small tractors. 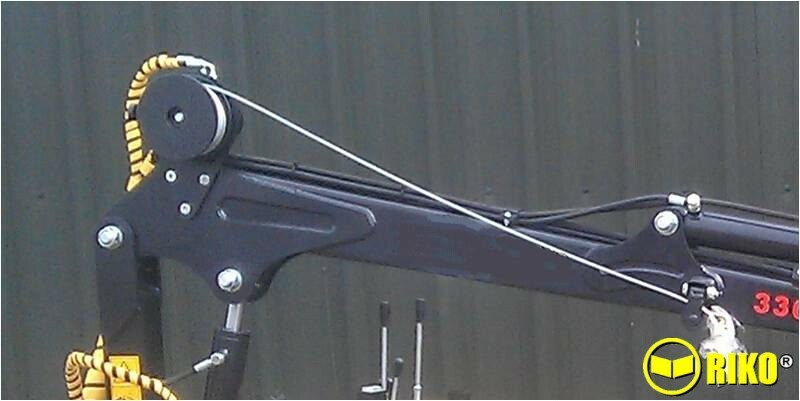 1500Kg capacity & 3.3 meter crane reach. Optional petrol power pack. 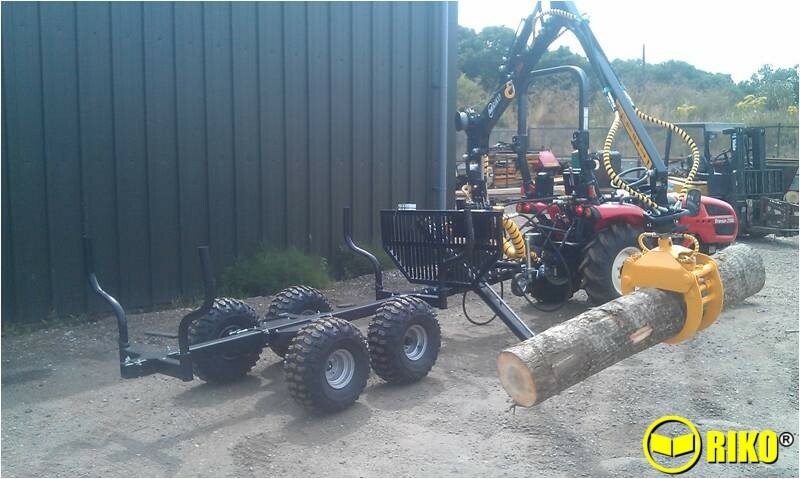 Our first forestry trailer with a hydraulic crane. 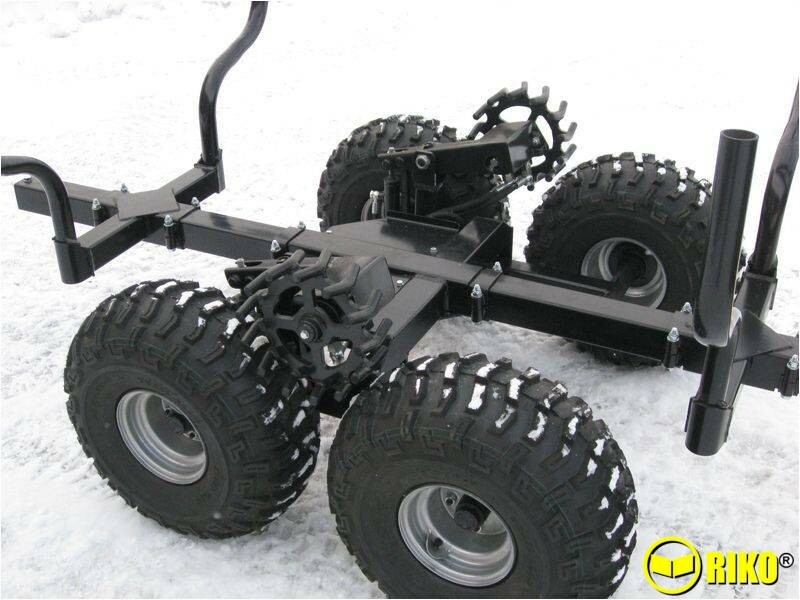 Ideal for large ATV’s and very small tractors. 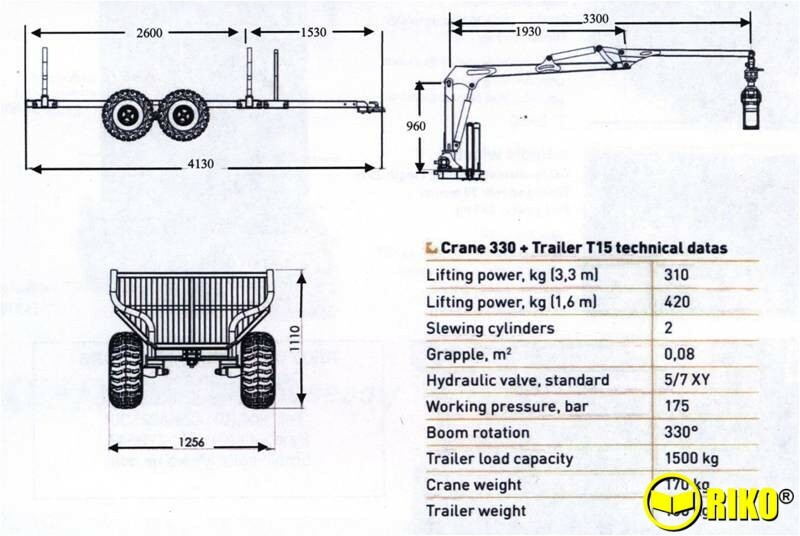 1500Kg capacity & 3.2 meter crane reach. 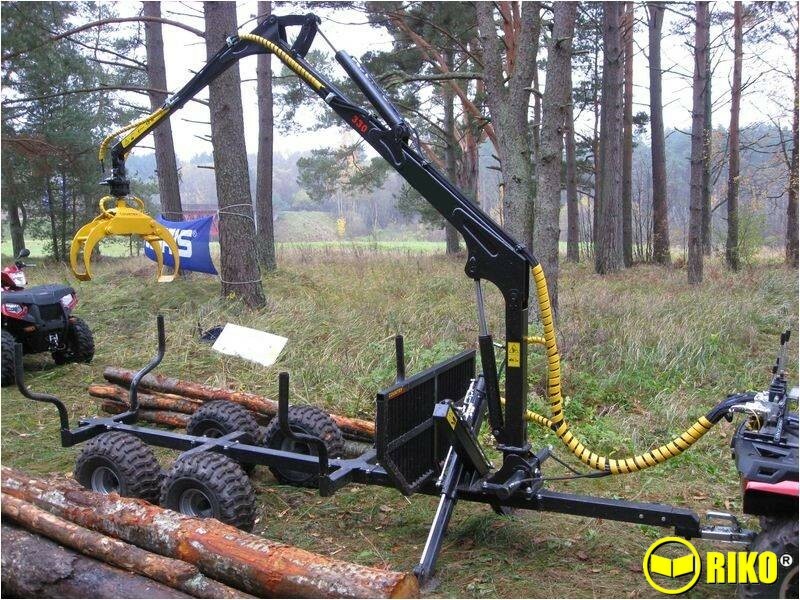 Optional petrol power pack. 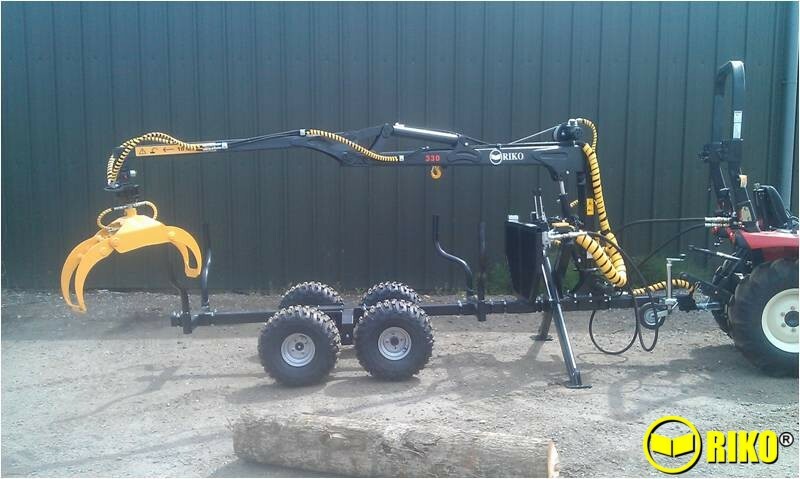 Trailer, 1500Kg capacity, front gate, 2 pairs (4) bolsters .4 ply ATV tyres on rocking beam axle, 3.3 mtr crane with grab & rotator.